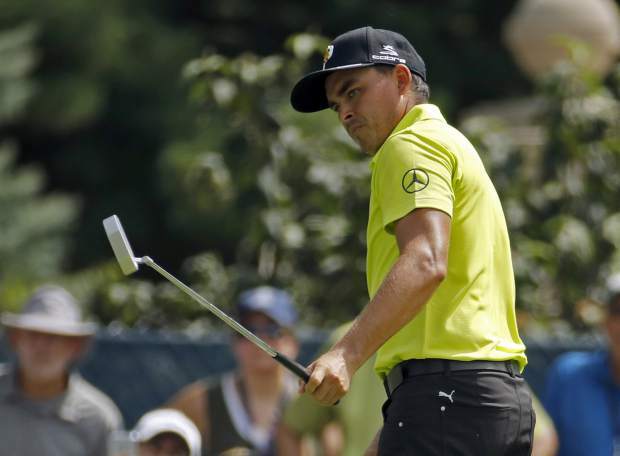 Three times a runner-up in golf’s biggest events, Fowler ran off five birdies over his final 11 holes at Bellerive and opened with a 5-under 65, giving him a two-shot lead among the morning side of the draw in the PGA Championship. Still only 29, Fowler already is considered among the best players without a major. It hasn’t been a lack of effort. He was runner-up at the Masters in April, and he had a chance at the PGA Championship last year at Quail Hollow. Ian Poulter, Jason Day and Stewart Cink were among seven players at 67, while Hideki Matsuyama and Webb Simpson were part of the group at 68. Justin Thomas, trying to join Woods as the only back-to-back winners of the PGA in stroke play, let a good start slip away. He was 3 under through six holes and didn’t see a putt go in the rest of the day, two of them for par. He had a 69. Fowler wasn’t convinced the lead would hold up, even as the wind began to increase at Bellerive for afternoon starters like Spieth and Dustin Johnson. The only other time Fowler had the lead to himself in a major was after the opening round of the U.S. Open last year at Erin Hills. He wound up tied for fifth, another close call.